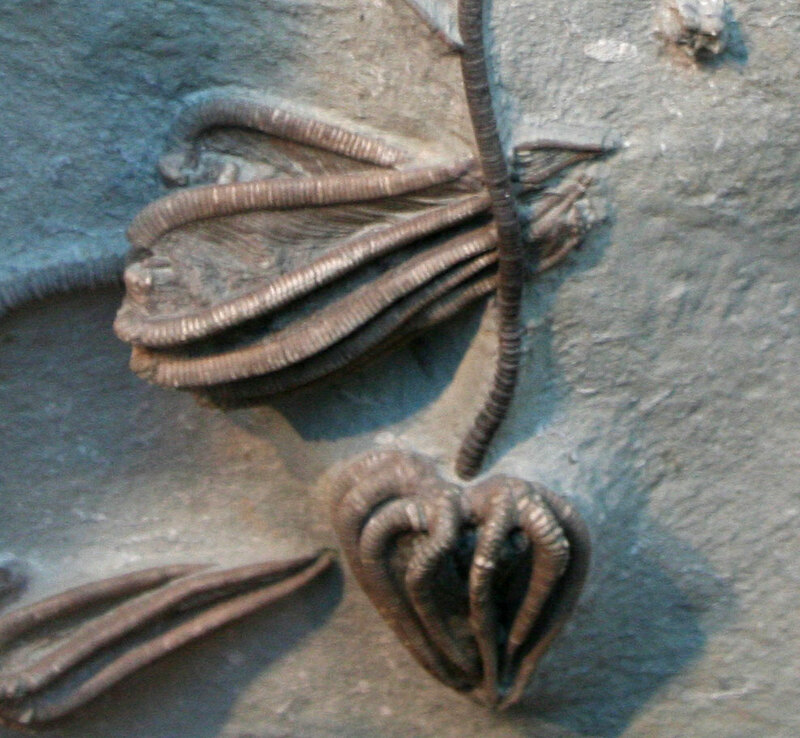 Agaricocrinus americanus crinoids on display at the Indiana State Museum in Indianapolis, Indiana. 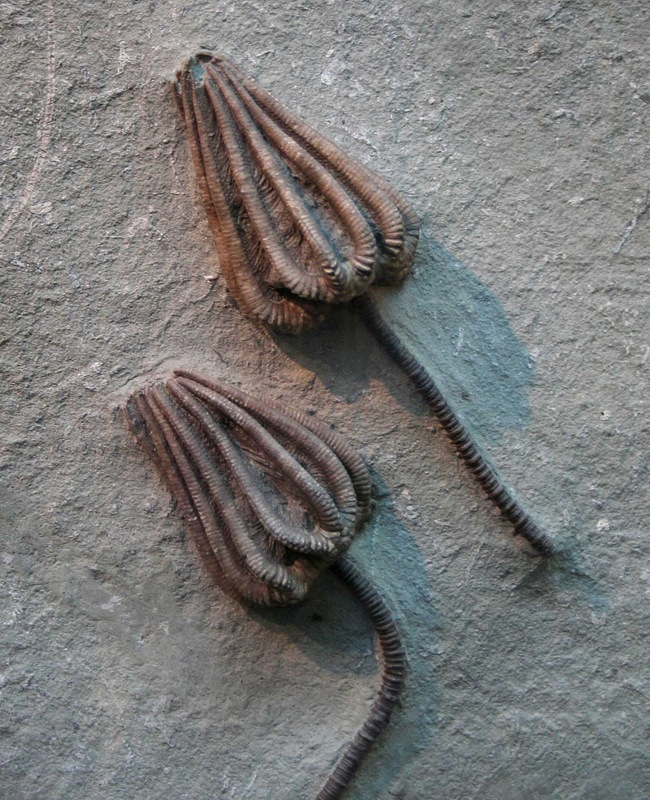 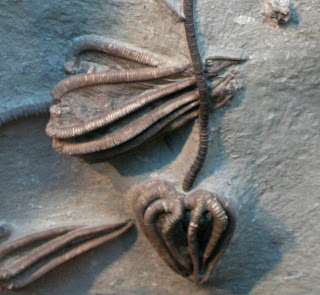 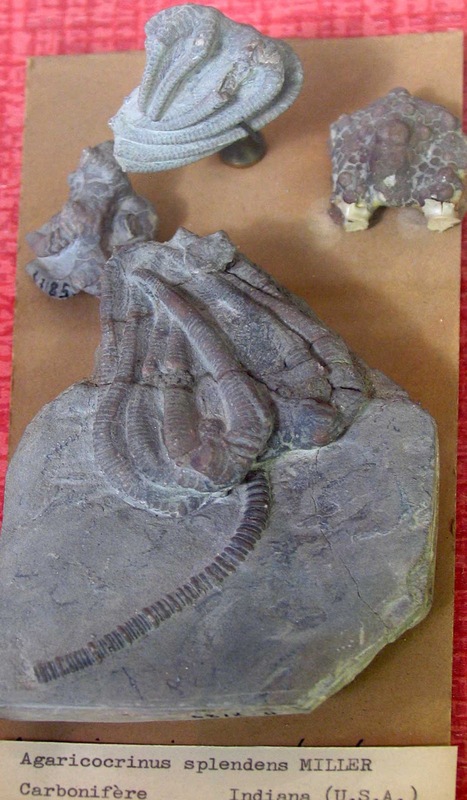 Crinoids are from the famous Crawfordsville location found in the Edwardsville Formation. 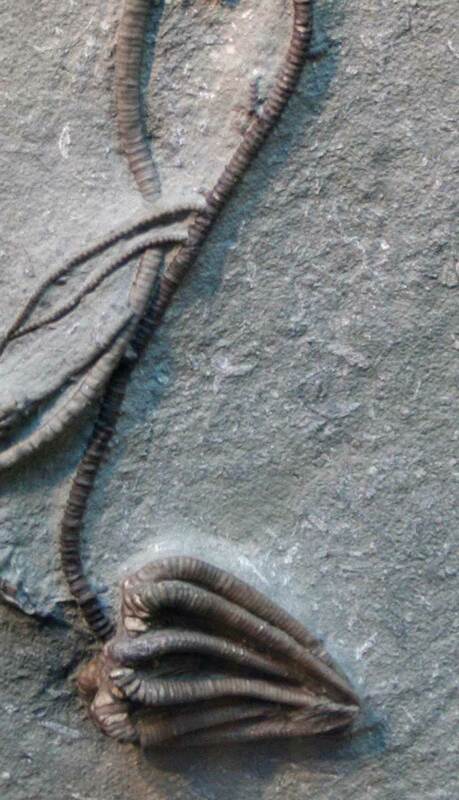 Animals grew in the Mississippian Period. Next picture shows an Agaricocrinus splendens on display at the Muséum National D'Historie Naturelle Jardin Des Plantes Paléontologie et Anatomie Comparée in Paris, France. More than likely it is from Crawfordsville, Indiana.